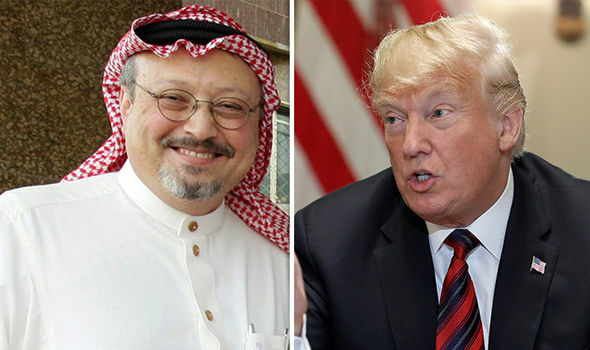 PRESIDENT Donald Trump on Tuesday described the killing of a Saudi journalist as a botched operation and a “bad original concept” as his administration took its first, careful steps toward punishing the Saudis by moving to revoke the visas of the suspects. Even in the face of ugly details of Jamal Khashoggi’s slaying, Trump has resisted calls to cut off arms sales to the kingdom and has been reluctant to antagonize the Saudi rulers. Trump considers the Saudis to be vital allies in his Mideast agenda. “These penalties will not be the last word on this matter,” Pompeo told reporters at the State Department. “We continue to view as achievable the twin imperative of protecting America and holding accountable those responsible for the killing of Mr. Khashoggi,” Pompeo said.